Bring a little Shabby Chic into your decor with these beautifully painted Mission Style lanterns. 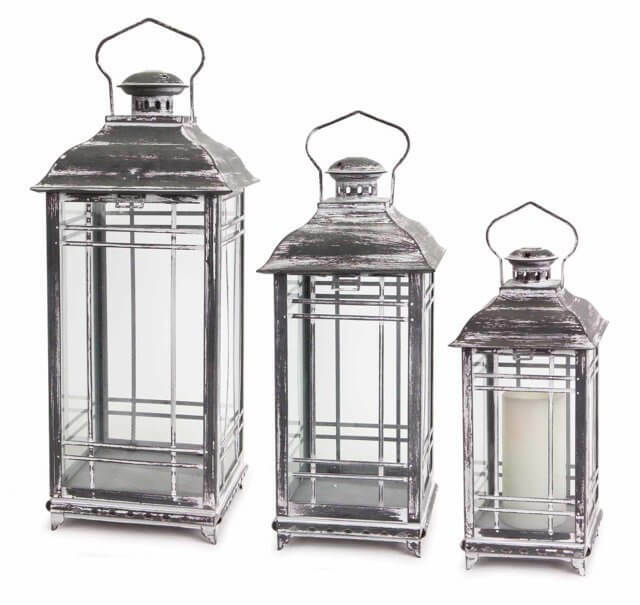 Candle lanterns feature Mission styling, vented tops, glass inserts, hinged doors and handles. Perfect for our LED candles or Simplux Moving Flame candles. Candle(s) sold separately, Click Here for full line. Product Notes : Candles not included.